ICPRB > Focus Areas > Aquatic Life > Calling for Volunteers! Do you have a favorite stream that you paddle, fish, or walk along? Have you found areas where stringy green algae seems to always grow? How about new stands of plants, or areas where the water always seems green with algae? Would you share your observations with us? In ICPRB’s 5th year studying the prevalence and ecological impact of algae and plants in freshwater systems, our biologists hope to expand the project’s range and scope to include more rivers and streams affected by dense plant blooms. Logistically, this task is daunting without the help of volunteers. 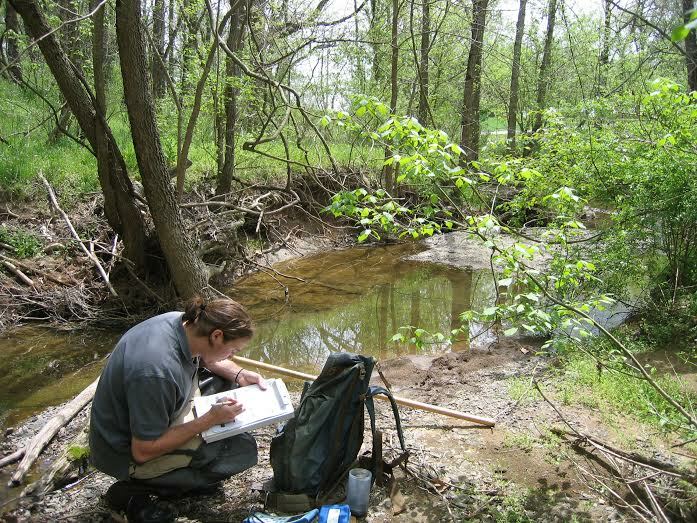 For this project, we are asking volunteers in different organizations throughout the Potomac basin to report bloom areas that they regularly visit. Ideally ICPRB biologists hope to identify more hot spots within the basin to later target more exhaustive localized research efforts. The reporting network will be made up of volunteers and researchers found throughout Potomac waters. Using a newly developed smartphone APP we hope to get snapshots of these sites throughout the basin. 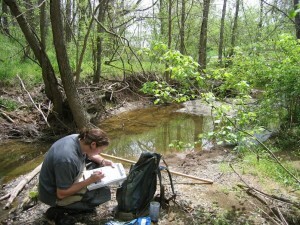 This work can be done by watershed or other groups, or interested individuals. Contact us for more information.